David King pursued one of the most multifaceted and intellectually ambitious trajectories in British graphic design. His working life divided into several phases of activity, though they were all related by his central concerns, and any one of them could have been a career. 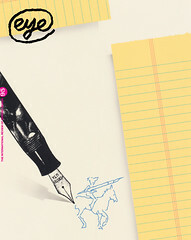 In the 1990s, King seemed to drop out of graphic design, calling it a young person’s occupation, and his work became all but unknown to a later generation. The former Sunday Times designer who won a shelf-load of D&AD awards took no part in industry celebrations and events. Elsewhere, though, as author of innovative visual histories of revolutionary Russia, King remained highly visible, his books and exhibitions acclaimed in newspapers around the world. A room at Tate Modern, showing printed matter from his huge private collection, was a permanent fixture and in 2016, just before he died, Tate acquired King’s collection of Russian graphics and photographs for the nation. 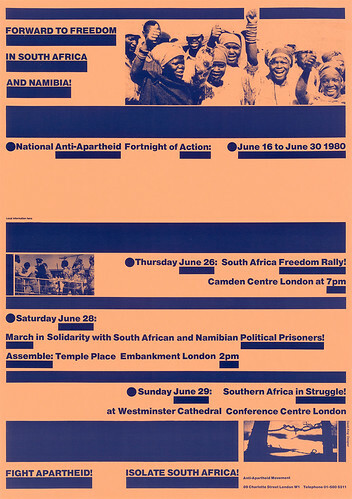 A predominantly typographic design from 1980, once again in support of Anti-Apartheid, treats the monochrome photographic elements like ‘typographic’ material – in the style of typophoto – to be slotted into position. 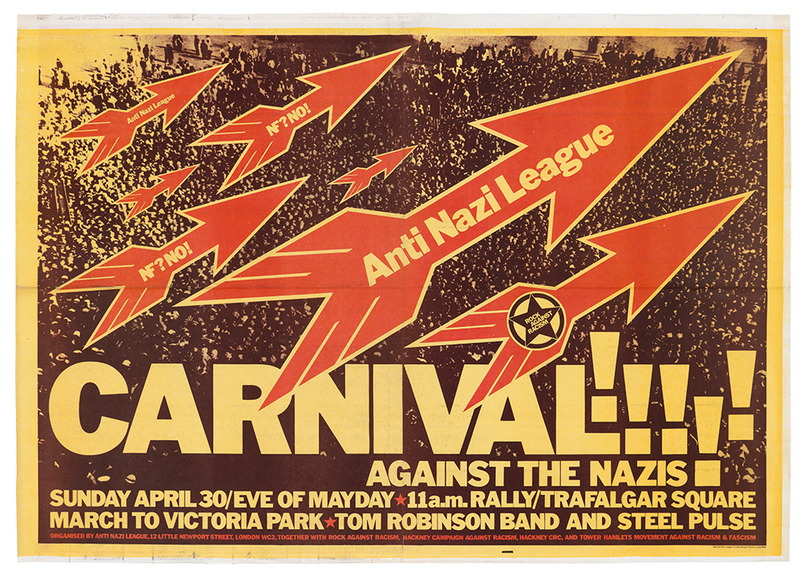 Top: Poster for Rock Against Racism and the Anti Nazi League, 1978. King’s posters have a journalistic directness and immediacy, leaving the viewer in no doubt about what is happening and what needs to be done about it.